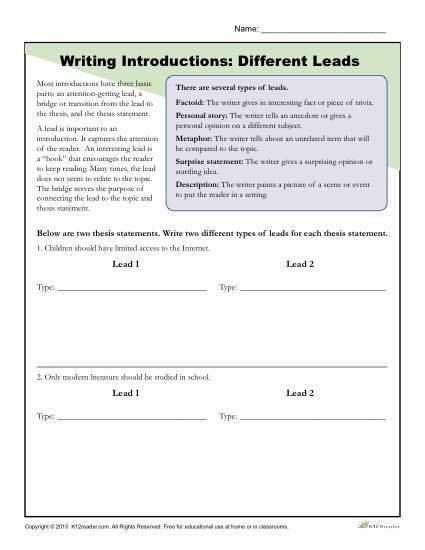 Practice writing different leads with this essay introductions worksheet. Students will explore ways to include factoids, personal stories, metaphors, surprise statements, and descriptions in their “hooks”. This activity helps students turn their lead statements into bold attention grabbers.